Shell V-Power Racing team boss Ryan Story has confessed he never expected his team’s protest over Shane van Gisbergen escaping a penalty at the ITM Auckland SuperSprint to succeed. During Saturday’s race at Pukekohe, van Gisbergen’s car was seen to spin its wheels while being lowered to the ground in its second stop. A post race investigation followed with no penalty dished out, an outcome which was then protested by Story’s squad and only resolved in the moments prior to Sunday’s race. Reflecting on the incident and resulting protest, Story now concedes he never expected a successful outcome. “I was watching from home but furiously writing up protest submissions and all these other sort of things,” Story told the Fox Motorsport Supercars podcast. Van Gisbergen escaped penalty when it was deemed the rear wheels did not complete a full rotation, though according to Story the specifics of the wheels rotation were not the same as the precedents cited. 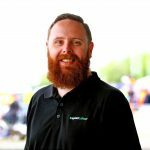 “What concerned me was that the evidence that was submitted indicating the precedent of not completing a full revolution not being a penalty all related to David (Reynolds) in Bathurst and at Adelaide,” he explained. “Basically what those instances entailed was David putting the car in gear and maybe not having his foot on the brake, so instead of just that normal clunk that you see when the gear engages it went clunk and just spun half a revolution. In an effort to support their case, the Shell V-Power crew sifted through television archives to find similar instances. “We found an incident from 2015 where less than a revolution was completed, it was a penalty, and another one from ’17. “We found one particularly interesting one from Darwin in 2013 that involved Triple Eight and then (Mark) Dutton sort of getting on the tele saying ‘it was less than a revolution but them’s the rules, the wheels can’t move and that’s what a penalty was’ – I had a bit of a chuckle at that one. “But it is what it is and we’ll move on from it but I think what it does is it now sets precedent that everyone has a clear understanding of whereas I don’t think that was the case before. “From our perspective we move on, we acted the right way,” he added. 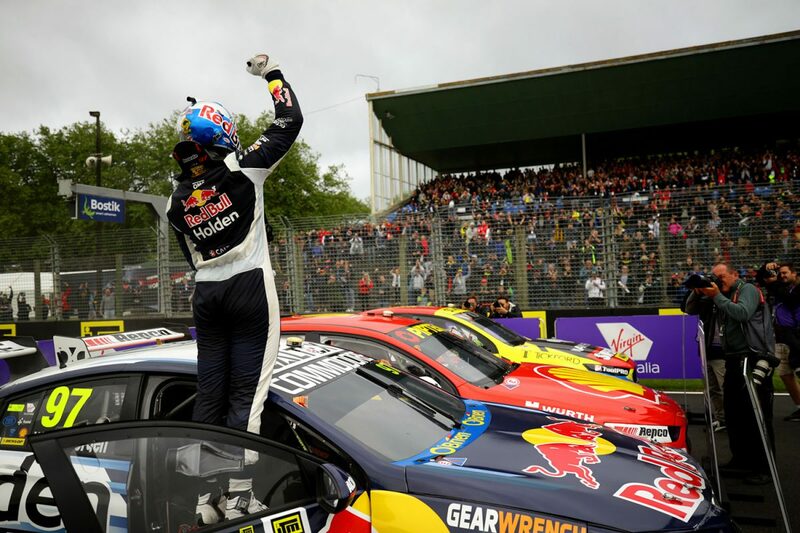 With the protest unsuccessful it meant the outcome of the race remained unchanged from the order the cars crossed the line on Saturday, with van Gisbergen heading Scott McLaughlin to win, closing the championship points margin to just two points. The top two were reversed in Sunday’s race leaving van Gisbergen and McLaughlin split by 14 points heading to Newcastle later this month.